Lucknow: UP government allocating Rs 288 crore (approx US$ 44.31 Million) for Metro rail projects in the state. 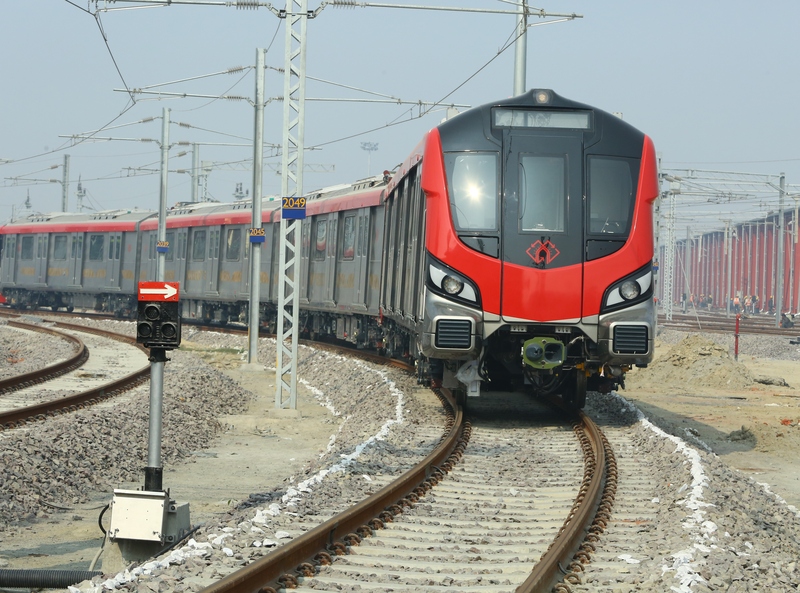 Lucknow Metro is ready for commercial run any time in July — has received a lion’s share of Rs 233 crore (approx US$ 35.85 Million). This is the last instalment for Lucknow Metro the from state government’s coffer under equity, sources said. It has already paid over Rs 1,000 crore (approx US$ 153.85 Million) to the project in the past 2 years. While DPRs (Detailed Project Reports) are already complete and sent to the government for approval for Kanpur & Varanasi metro, corridors in Allahabad & Gorakhpur have recently been finalised. This Year, the Centre has released about Rs 446 crore (approx US$ 68.62 Million) and state had to give Rs 233 crore (approx US$ 35.85 Million). The allocation would help complete the project timely by March 2019, Lucknow Metro officials said.